Ever since childhood Mitch has been fascinated by storms and has many fond memories of being caught in thunderstorms. 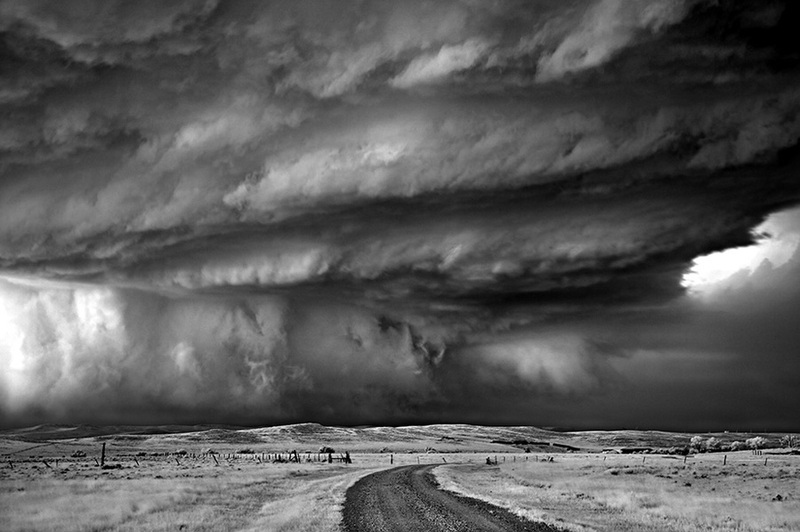 Prior to the storm series Dobrowner photographed primarily in the Southwest. When there he would seek out the "nastiest, most unstable" weather possible, and in the summer of 2009 Mitch decided to take his work to the next level. 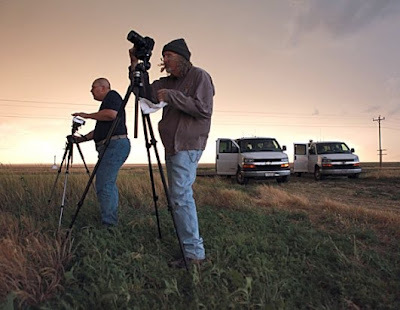 Directing his focus away from the Southwest, Mitch started working on locating the most severe weather he could find, which brought him to Tornado Alley and the Great Plains of the USA. 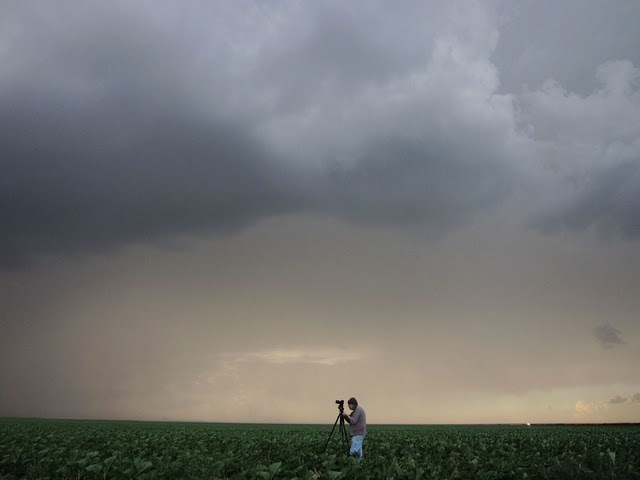 I asked Mitch to tell us a little more about his storm chasing... how could he not have some exciting stories!? The trips to the Great Plains are an adventure unto itself. As I write this I sit in Tucson Arizona preparing go out on my 4th trek... chasing after monsoon thunder/lightning storms. In each of the last 3 trips we have traveled 5600, 4800 and last month 6100 miles (over 16,000 miles in total) - seeing over 14 states. Besides the great storms I've had the honor of seeing the Midwest and central states - whose small, tight knit communities make up a majority of the United States. But that's another story (and maybe another project). Mitch: "I was standing in the pouring rain - soaking wet. It was awesome." 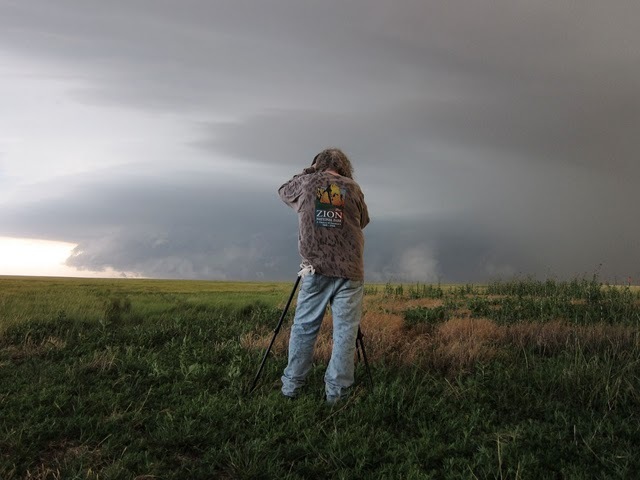 The first time I witnessed a structured supercell thunderstorm was June 12th, 2009. What I saw gave me a fresh prospective on the power of Mother Nature and how small and insignificant we really are. One memory is of June 13th, 2009 in Valentine, Nebraska: I was standing in a wheat field with wind gusts eclipsing 50mph, witnessing lightning strikes every few seconds, hearing the rumble of hail - all while standing in front of a 60,000' high mesocyclone. I could not believe what I was seeing; it was unlike anything I've even see before in my life. It was also then that I realized that these storms are living, breathing things. They are born everyday, they fight against their environment to stay alive, change their form as they age, they lose their strength - and eventually they die. Standing in front of one of these phenomena's of nature is an adventure into the extreme. For me, I've had the honor to witness Nature in her beauty (illustrated in landscapes) but these storms (besides being beautiful) represent Mother Nature in her ultimate anger and fury. Seeing Nature in this manner is an extremely personal level experience as it has helped move my relationship with nature and our planet to the next level. As Mitch had hoped, he found the bad weather he was seeking. 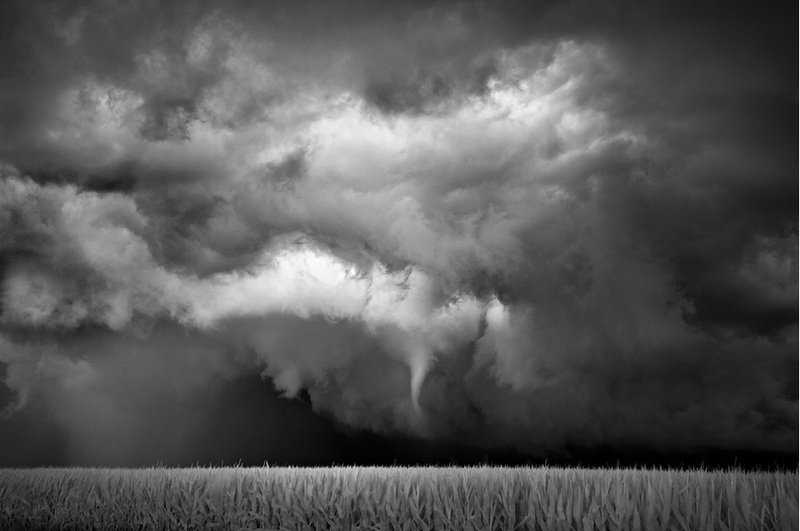 A selection of new storm images are now available at photo-eye Gallery, including the photographs featured in this blog post Bear's Claw and Funnel-Cornfield. Enjoy! For more information on Dobrowner's work, contact photo-eye Gallery.